It was a real treat to join the Friends of Westonbirt Arboretum and the Forestry Commission for the opening of the much anticipated and brand new Tree Top Walkway this week at Westonbirt Arboretum. 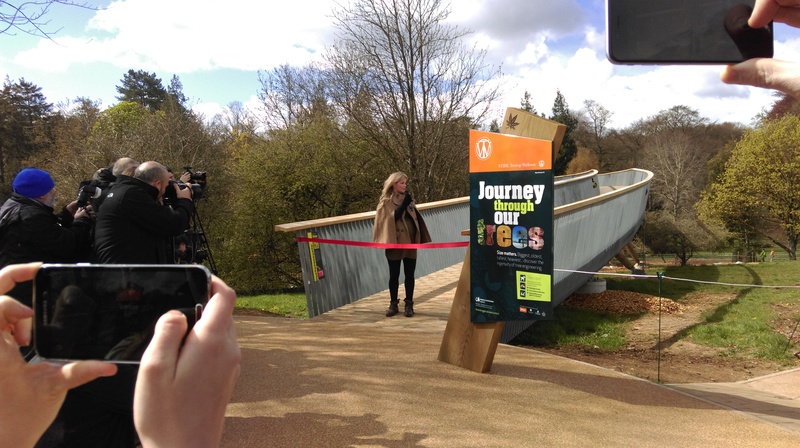 There to cut the red ribbon was BBC Countryfile’s very own Ellie Harrison, who spoke passionately about the ‘wonder of trees’. Walking across the 300m walkway you step into another world. 43 feet up high in the tree canopy you really get to see the true glory of so many different and varied species that make up Westonbirt’s collection of over 15,000 specimens. Next time you fancy a woodland walk head for the heights of Westonbirt for a completely new experience.